Discussion in 'Tesla Parts for Sale' started by TM Parts, Jul 30, 2018. 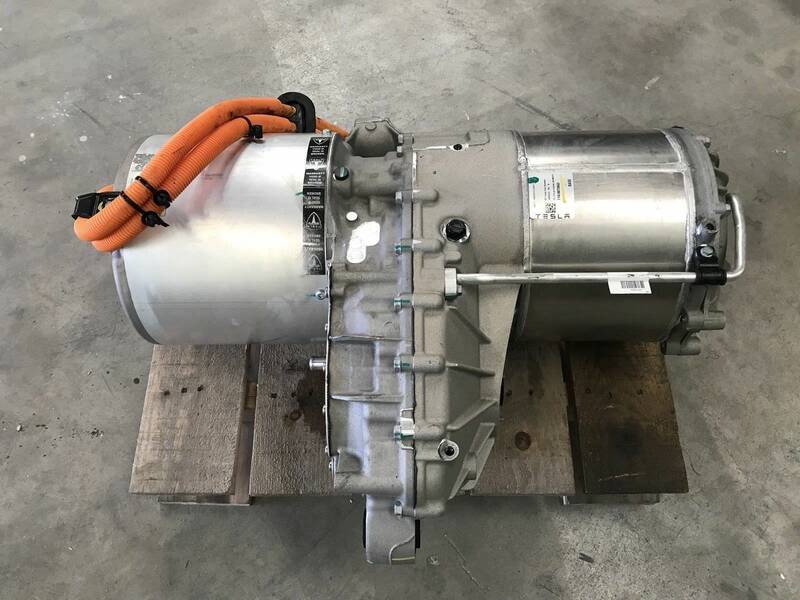 For sale is a rear large drive unit removed from a 12/2014 Production date Tesla Model S. The car had front end damage and had only 20,000 miles on it. The unit is $4,250 shipped to anywhere in the 48 States and comes with a 1 year warranty. I can ship else where but shipping will be extra. I also have another unit from a 2013 Model S with 68k Miles for $4000 shipped, 1 year warranty. And another one from a 04/2016 Model S with 21k miles for $4500 shipped. 1 year warranty. Bump. Can sell complete with cross member and suspension if anyone needs it that way.